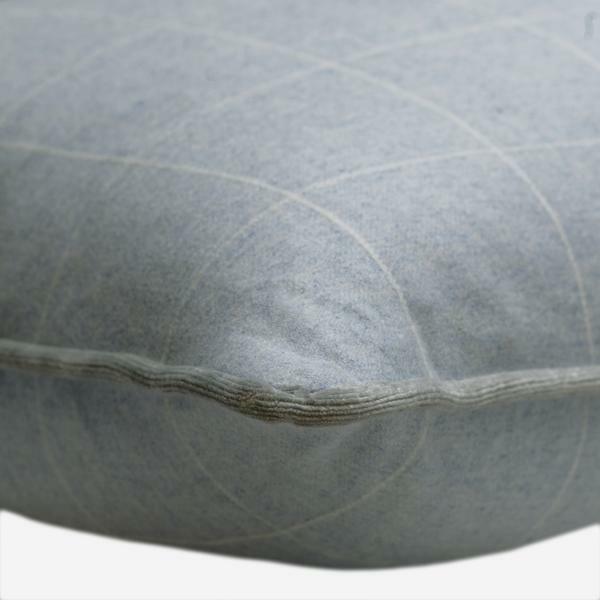 A watery blue wool with a white windowpane check and silvery velvet piping. 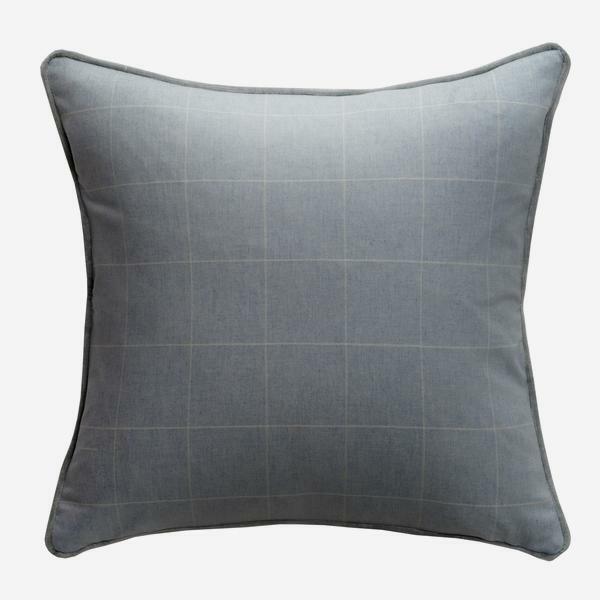 This cushion is as smart as they come, with just enough checkered detail for patterned interest and the piping adding extra texture and a sophisticated frame of colour. With anti-pilling technology and a Teflon finish this collection has long life and will maintain its high quality appearance over time.